I am working as Professor of Education and Vice Dean for research at the Faculty of Educational Sciences, University of Helsinki. 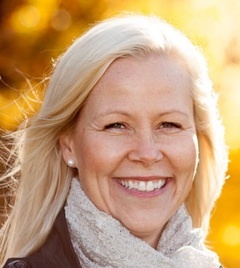 I am the founding member and research director of the Playful Learning Center (www.plchelsinki.fi). I also hold an adjunct professorship at the University of Turku. I received my PhD in Education from the University of Exeter in the year 1994 after which I have held two distinguished scholarly positions awarded by the Academy of Finland (1997-2005). In the years 2006-9 I directed the national interdisciplinary research network on learning, CICERO Learning at the University of Helsinki. I moved from this position to serve as the Director of the Information and Evaluation Services Unit at the Finnish National Board of Education (2009-11). In the past, I have been a visiting professor at the University of Warwick, Institute of Education, UK (2007-9) and at the University of California, Santa Barbara, UCSB, Gevirtz Graduate School of Education (2004-6). I have spearheaded several externally funded research projects examining learning and education from the sociocultural perspective. My research focuses on understanding social, emotional and cultural dimensions of learning and development. In my publications, I have been interested to develop new knowledge about social interaction in learning, illuminating the ways in which participation, agency and knowledge are situationally negotiated across space and time. I have also addressed methodological questions in the analysis of social interaction in formal and informal settings. Lately, I have begun to be interested in visual, participatory research, children’s and young people’s creativity and resilience as well as formation of learner identities in the digital age. Rajala, A. & Kumpulainen, K., 7 syyskuuta 2017, Agency at Work: An Agentic Perspective on Professional Learning and Development. Goller, M. & Paloniemi, S. (toim.). Cham: Springer, s. 311-329 19 Sivumäärä (Professional and Practice-based Learning; painos Volume 20). Kumpulainen, K., Renshaw, P. & Tooth, R.
Kumpulainen, K., Sintonen, S., Vartiainen, J., Nordström, A., Sairanen, H. & Wong, C. C.
Kumpulainen, K., Kajamaa, A., Erstad, O., Mäkitalo, Å., Drotner, K. & Jakobsdottir, S.
Kagan, S. L. & Kumpulainen, K.
Kumpulainen, K., Kajamaa, A. & Korhonen, J.
Kumpulainen, K., Mikkola, A. & Salmi, S.